Sustainability may be a fledgling movement in the Philippines, but the good news is that more local companies are embracing its principles. Rather than deem the struggle to be more sustainable as a chore, these companies—our clients among them—are finding business solutions that consider not just economic gains but also the company’s impacts on society and the environment. Every company takes pains to manage their solid waste and reduce their energy consumption. 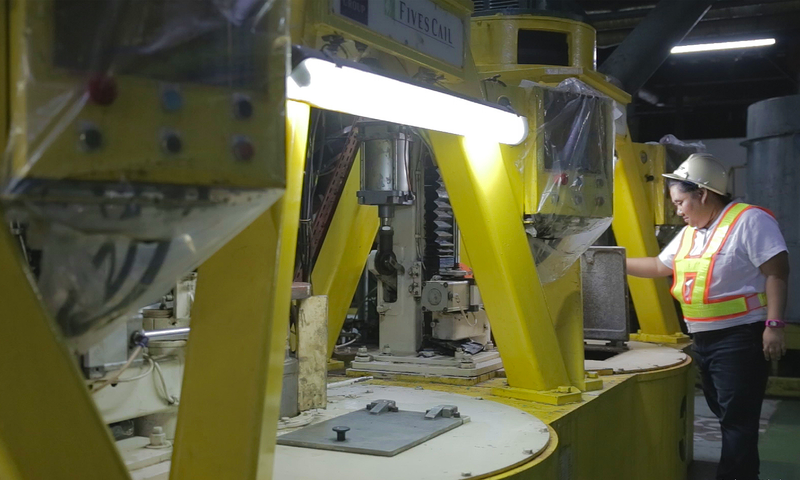 Universal Robina Corporation (URC) has managed to hit these two targets with one canny solution: converting their waste into power. The biological waste from their chicken farms and piggeries become fuel for their biogas digester plants, which produce electricity to maintain those same farms—translating to power savings of more than PhP20 million annually. Similarly, waste from their sugar operations fuels their biomass-fired power cogeneration plant to produce electricity for their sugar mill in Negros Occidental. Finally, they use spent wash to generate steam and power for their distillery. Learn more about how URC innovates with sustainability in mind in their 2016 Sustainability Report. 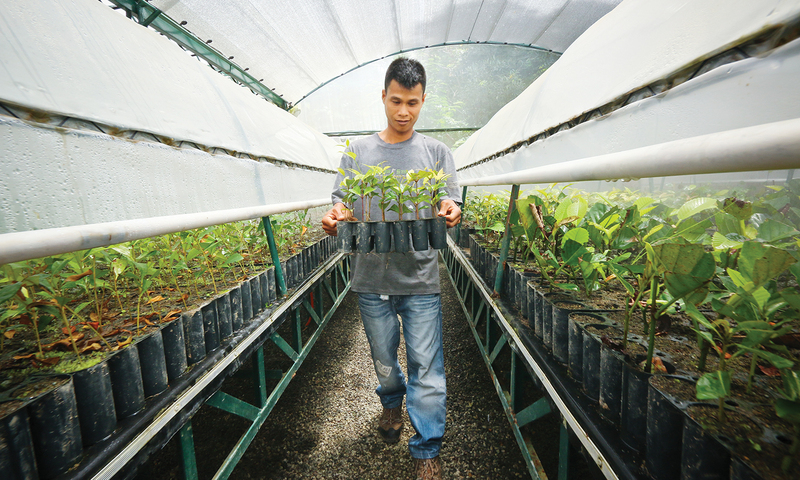 With Philippine forests badly in need of restoration, Energy Development Corporation (EDC) initiated the BINHI program to not only maintain the forest reservations from which their geothermal operations derive ecosystem services, but also to conserve premium and threatened species of Philippine native trees. As of 2017, EDC’s BINHI program has exceeded its target by restoring 9,196 hectares of watersheds nationwide. Through BINHI, the company has also successfully located and gathered samples of 96 premium and threatened native hardwoods—saving them from fading into obscurity. To learn more about this EDC-led nationwide greening program, visit the BINHI website. Pilipinas Shell Petroleum Corporation (PSPC) takes pride in having a safe and inclusive workplace, and celebrates International Coming Out Day with the lesbian, gay, bisexual, and transgender (LGBT) community every year. Apart from festooning the company headquarters, fuel stations, and refinery with rainbow flags, Pilipinas Shell workers engage in activities and forums to promote awareness of issues on diversity and to support the LGBT community. For more information on Pilipinas Shell’s sustainability performance, read their Annual and Sustainability Report 2017. In the event that the 60-year-old Padcal Mine in Benguet suspends operations in 2022, Philex Mining Corporation is set to implement its post-mining rehabilitation plan, and is already teaching organic farming as an alternative source of livelihood for members of its host communities. Philex Group Foundation, Inc. (PGFI), the corporate social responsibility (CSR) arm of Philex Mining, intends for the host and neighboring communities of Padcal Mine to become self-sufficient. The PGFI has hired experts and consultants on organic farming to transfer knowledge to its farmer-partners. One trained, these farmer-partners are expected to increase their yield of organic vegetables and coffee. Read up on this and other programs in Philex Mining’s 2017 Sustainability Report. at Maynilad Water Services, Inc.
Photo Courtesy of Maynilad Water Services, Inc. Since 2008, Maynilad has subsidized the consumption of households classified as “lifeline customers.” Residents who consume 10 cubic meters or less per month are automatically given a monthly 41 percent discount off the basic water rate. The company also provides Rate Code adjustments to sari-sari stores and public institutions (e.g., schools and hospitals managed by the local government unit), so that they’re able to avail of semi-business charges rather than the higher business rates. Through its Pag-asa sa Patubig program, Maynilad was also able to convert more than 1,000 informal settler families into legitimate customers. Cooperatives in poor communities were also provided the opportunity to manage and earn from their own water systems. 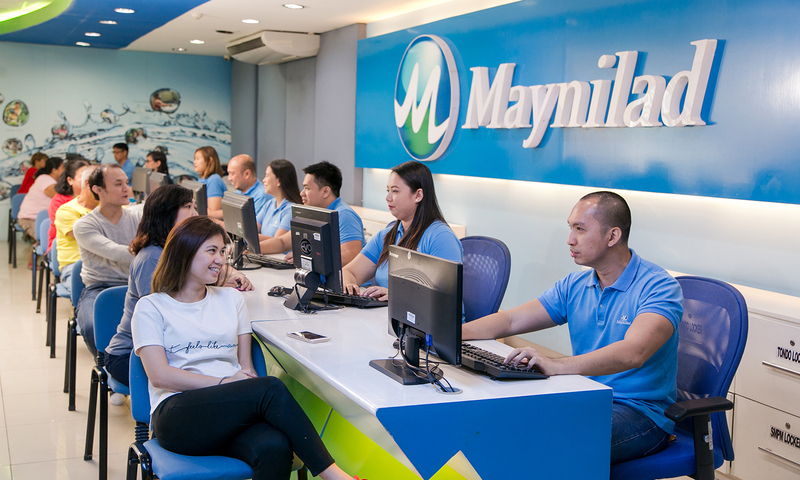 Check out Maynilad’s social services and other sustainability initiatives in their 2017 Sustainability Report.